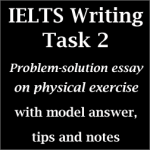 This IELTS speaking part 2 topic is a recent one and it is a very easy topic card to answer because almost everyone knows a street market from their place of living. 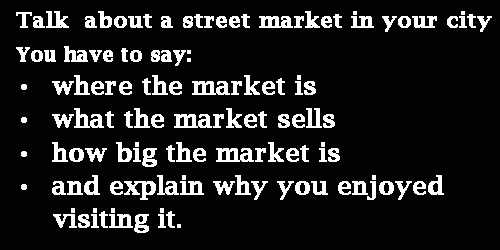 The title of the topic card is “A street market in your city”. Shopping is a very usual matter and it is considered as a great culture of a country. The answer provided here is a band-7 standard. 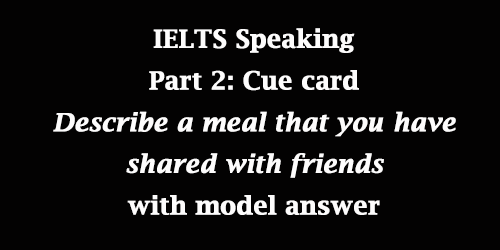 Hopefully, this model answer will help you to prepare for the cue card and some other cards as well. 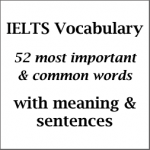 This post on IELTS Speaking Part 2; or topic card focuses on how to answer a problem related to the environment. 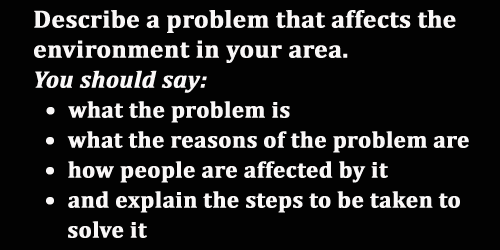 The title of the cue card is “a problem that affects the environment in your area”. 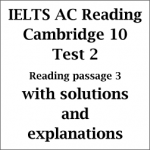 As the environment is a common topic of IELTS, this topic card looks quite a common one. The model answer provided here is a very good example and there is a short feedback on the answer too. 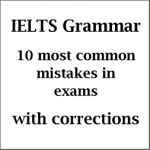 This will help the candidates of IELTS to have a clear view of the answer and analyze it. 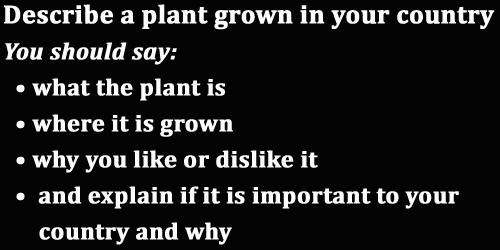 This IELTS Speaking Part 2 or topic card is about ‘a plant grown in your country’. I’ve detailed some of the major points and explained some ideas or notes which you can use to answer this topic. 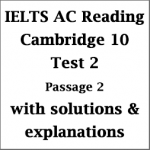 You need to follow the directions and practice the answer a lot to have a clear idea about this topic card.